Sam brings to Cenduit a wealth of experience in deal structuring and negotiation in a wide healthcare continuum, including personalized medicine, healthcare IT, and drug development. Sam spent six years at IQVIA, most recently serving as the Head of Cardiac Safety Services and Connected Devices, where he built new service offerings and guided the group to phenomenal sales growth. During his tenure at IQVIA, he also held roles within Corporate Development focused on key corporate actions and strategic transactions, as well as on building preferred partnerships with IQVIA top pharma customers. Prior to IQVIA, Sam spent several years in investment banking and venture capital advising clients in the consumer products, retail and healthcare industries as well as investing and running early-stage companies. Sam received his MBA in Finance from Carnegie Mellon, a Master’s of Economics from the London School of Economics and executive education from the University of Pennsylvania. Jennifer brings over 25 years of experience in operational leadership, clinical technology and regulatory and compliance in the bio/pharma industry. She previously held senior leadership roles at PAREXEL International, both domestically and in Europe, where she had general manager responsibility for their largest IRT delivery center. She served as the Head of Global Project Management and Technology at Cenduit from 2008-2012. Additionally, Jennifer has extensive experience developing systems and operational teams that support digital health solutions, including ePRO/eCOA, EDC, CTMS, and regulatory submissions at both sponsor and CRO organizations. Prior to joining Cenduit, Jennifer worked in a compliance role at Shire, supporting their R&D group. Jim joined Cenduit in 2008, complementing the organization with his more than 20 years' experience in quality management and operations across several industries and systems, including clinical trial software/services, real-time Doppler weather systems, retail point of sale systems, and telephony ordering interfaces. Jim is responsible for maintaining Cenduit's quality framework, ensuring regulatory compliance, and the hosting and conducting of audits worldwide. Prior to joining Cenduit, Jim's experience included roles managing, testing, and deploying study-specific interactive response technology (IRT) solutions within the technical subsidiary of a major CRO. He holds a Bachelor of Science degree in physics from Worcester Polytechnic Institute and a Master of Science degree in physics from Northeastern University. Chris brings over 15 years of experience architecting and delivering highly available, complex software applications across multiple industries including: health services, enterprise software, ecommerce, publishing, telecommunications, and consulting. Prior to joining Cenduit, Chris was the Chief Technology Officer of EmergingMed, a patient screening and recruitment service. He also served as the Vice President of Product Management at Luma Technologies, a provider of enterprise marketing communication software and as CTO for InfoGroup's expresscopy.com division, a leader in the e-commerce print marketing communication space. Chris holds a Bachelor of Science degree in Commerce from the University of Virginia and an MBA from the University of Maryland. Tim brings over 15 years of diversified human resources (HR) experience to Cenduit, having held global roles in change management, organization development, talent management, and HR Operations. Prior to joining Cenduit, he had a 12-year career with IQVIA during which he held a variety of positions, most recently, Head of HR, M&A, and Strategic Project Office. Tim also held key HR roles at Bayer Diagnostics and Visocom. He is an author, PMP and ICF certified coach who holds a Bachelor of Science degree in Communications and a MBA from Iona College. Jinu brings over 16 years of experience in global delivery, operational excellence and technology implementations in the life sciences industry. Jinu has significant expertise in establishing and expanding global operations, achieving operational excellence in delivery management through process and quality initiatives and proactively nurturing key business partnerships. Most recently, Jinu was with IQVIA where he held leadership positions in Clinical Operations. He was instrumental in growing the Global Delivery Network for Clinical Operations at IQVIA. Prior to joining IQVIA, Jinu dedicated 9 years to Cognizant's Life Sciences Practice, where he held leadership positions in operations, relationship and program management, working with global pharmaceutical clients. He led the Clinical Systems Center of Excellence at Cognizant. Jinu received his MBA from XLRI Jamshedpur and has a Bachelor’s Degree in Engineering. Nick is a seasoned life sciences industry executive with over 20 years of experience leading and growing businesses across the healthcare continuum. He has focused on leading growth-oriented companies in their quest to become the dominant provider within their market segments. Nick’s responsibilities include managing Sales, Marketing, Account Management and Proposals. Nick is passionate about building high-performing sales organizations and deep customer partnerships. Prior to joining Cenduit, he served as the Global VP of Sales for PHT Corporation, subsequently acquired by ERT, the leading provider of patient focused electronic clinical outcomes assessments. Nick also served as a member of the Executive Leadership Team. 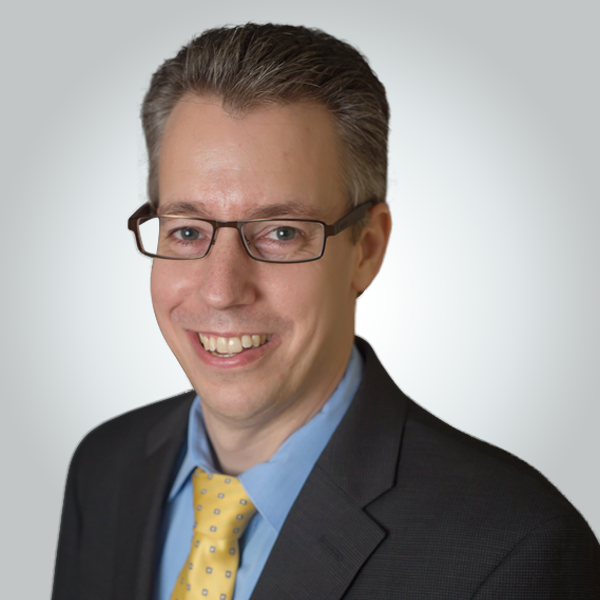 Kevin brings over 18 years of experience in the clinical trial technology managed services industry. He has a track record of developing and managing high performing teams focused on driving customer satisfaction and quality. Most recently, Kevin was with PAREXEL Informatics in a leadership position within Client Services, in which he was responsible for delivering organizational change to improve customer relationships, enhance internal processes, and implement best practices. Prior to PAREXEL, Kevin held a variety of leadership positions at ClinPhone, working in technical and client facing operations throughout his career. Kevin holds a Bachelor’s Degree in Computer Science from Hertfordshire University in the UK. Get Industry Insights, Delivered To Your Inbox.